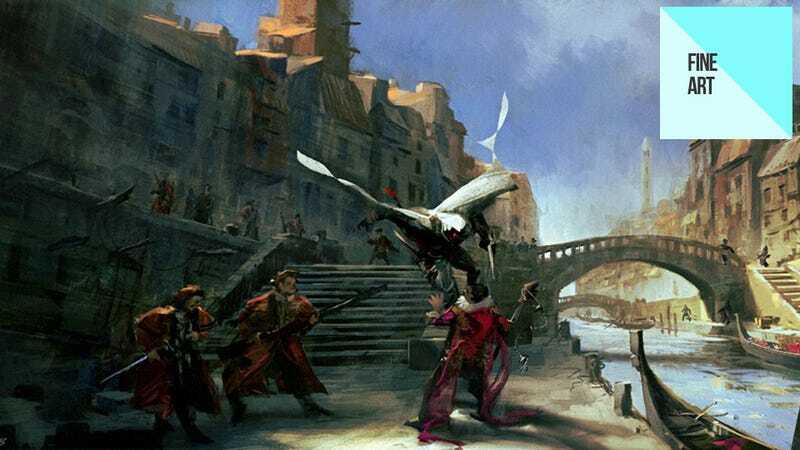 With Assassin's Creed Revelations out recently (and starring in its own Fine Art), I thought it'd be a good time to take a look back on some of the incredible art from the series we've yet to feature here on Kotaku. The pieces you're about to see are the work of three men: Maxime Desmettre, David Levy and Herve Groussin. They cover the first few games in the series and are, to the last, amazing. There are none from Revelations - usually most concept art is kept under lock and key until after a game is released - but you'll find plenty from both Altair's travels in the Holy Land as well as Ezio's travels through Italy.